Dee Dee Halleck is a media activist, one of the founders of Paper Tiger Television and the Deep Dish Satellite Network, and was a professor in the Department of Communication at the University of California-San Diego. Her first film, Children Make Movies (1961), was about a filmmaking project at the Lillian Wald Settlement in Lower Manhattan. She has led media workshops with elementary school children, reform school youth, and migrant farmers. 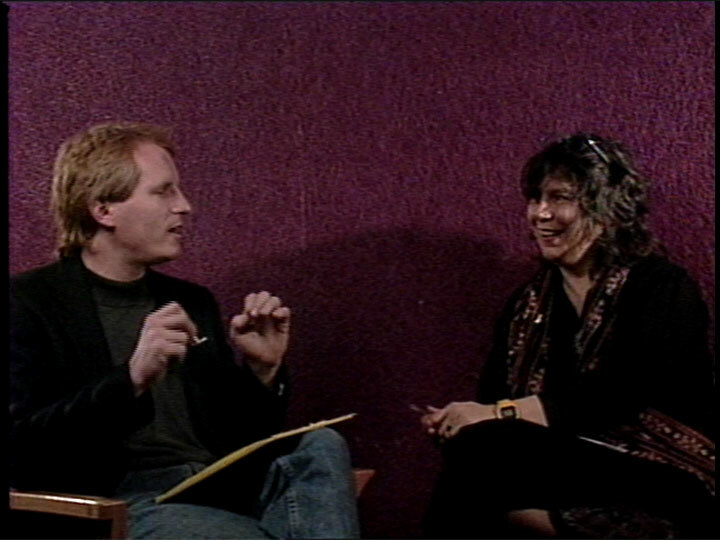 In this tape, Halleck shares experiences and ambitions with interviewer Bob Hercules, an independent documentarian whose work has been seen nationally at film festivals and through numerous PBS broadcasts. Hercules was a frequent contributor to the PBS series The ’90s during its three-year run, and a co-founder and past producer for the award-winning cable series Labor Beat.